SAGINAW, Mich. — Keeghan Howdeshell and Morgan Frost each had four points as the Sault Ste. 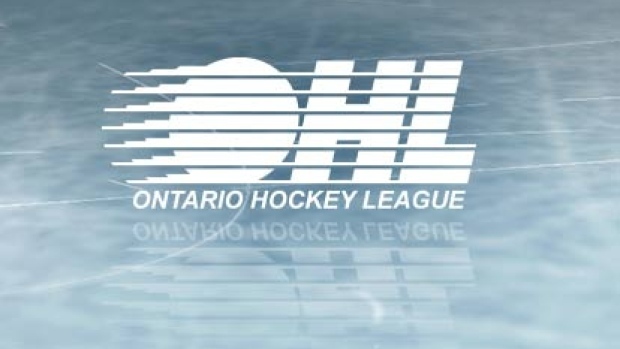 Marie Greyhounds downed the Saginaw Spirit 7-4 on Saturday in Ontario Hockey League action. Howdeshell had three goals and an assist while Frost put up two goals and two helpers. Mac Hollowell and Alex Johnston rounded out the offence for the Greyhounds (16-7-5). Cole Coskey struck twice while Camaryn Baber and Blade Jenkins also scored for the Spirit (14-10-3). Matthew Villalta made 29 saves for Sault Ste. Marie as Ivan Prosvetov kicked out 28-of-34 shots for Saginaw. The Greyhounds went 1 for 4 on the power play while the Spirit were 2 for 8 with the man advantage. OSHAWA, Ont. — Allan McShane and Giovanni Vallati had a pair of goals each as the Generals blanked Kingston. Kyle Keyser made 23 saves for the shutout while Tyler Tullio also scored for Oshawa (17-8-2). Brendan Bonello turned aside 33 shots for the Frontenacs (8-20-1). HAMILTON — MacKenzie Entwistle's second power-play goal of the second period stood up as the winner as the Bulldogs edged Windsor. Navrin Mutter also scored for Hamilton (13-13-1). Nick Donofrio made 23 saves for the victory. Cole Purboo and Curtis Douglas replied for the Spitfires (13-13-2). Michael DiPietro kicked away 20 shots in defeat. FLINT, Ont. — Jamie Drysdale set up two goals before scoring the winner at 2:01 of the extra period to lift Erie over the Firebirds. Petr Cajka netted a hat trick in regulation while Gera Poddubnyi and Alex Gritz also scored for the Otters (11-16-1). Daniel Murphy made 26 saves for the win. Ty Dellandrea had a pair of goals for Flint (3-23-2) and Fedor Gordeev, Jake Durham and Jack Phibbs added the others. Emanuel Vella turned aside 27 shots in defeat. OWEN SOUND, Ont. — Nick Suzuki scored the winner at 1:52 of the third period and tacked on an assist as the Attack downed Barrie. Zachary Roberts and Kevin Hancock also scored for Owen Sound (15-11-3). Andrew MacLean made 32 saves for the victory. Justin Murray kept the Colts (14-12-1) from being blanked. Maksim Zhukov kicked out 39 shots in a losing cause.